Who would have guessed that Americans would be receiving a crash course in Islam from Miss USA? Fakih: During my time in Lebanon, we did not live in Southern Lebanon, we lived in the mountain area of Lebanon, which is predominantly Christian-base. That was a safe area of course because of the war and also because of the fact that the majority of my family is diverse, it’s both Muslim and Christian. PARIS — The French government decided Wednesday to impose a $185 fine on women who wear a full-face Islamic veil in public, pushing ahead with a controversial ban despite signs of tension between France’s Muslims and the Christian-tradition majority. 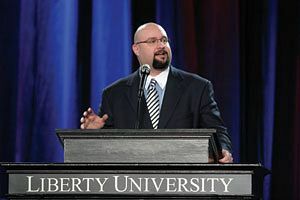 Liberty University will investigate whether Ergun Caner, president of Liberty Baptist Theological Seminary, actually has all of the Muslim background that he has described in some of his speaking engagements around the country. Liberty University described Caner as a converted Sunni Muslim and immigrant from Turkey when it named him head of the seminary in 2005, according to News & Advance files. As thousands prayed across the nation Thursday in celebration of the National Day of Prayer, the Rev. 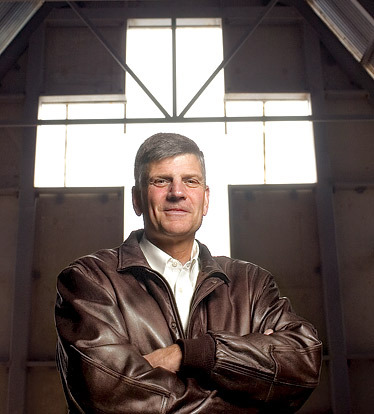 Franklin Graham held his own vigil in the Pentagon parking lot. Oh well, it doesn’t matter where one prays, right? All prayers lead to heaven. Or do they? Not if you’re Graham, who lost his place at the Pentagon altar after he mocked other religions, specifically Islam and Hinduism. A plea to President Obama to reinstate him apparently fell on pitiless ears. NEW YORK | When FaithHouse Manhattan has its twice-monthly interfaith gatherings, the guest list is a carnival of religious belief and creed. An Islamic Sufi dervish greets you at the door, but the program director, an Episcopalian, makes the announcements. A rabbi, a female Muslim and a Seventh-day Adventist share leadership of the meeting. The night’s program at FaithHouse, in a posh office just off Fifth Avenue, was the Jewish holiday of Purim. Oranges, nuts, apricots and hamentaschen, a Jewish holiday pastry, were offered as snacks. Participants put on costumes to act out the biblical story of Esther. “People who have a hunger for religious experience can have a taste of it here,” said Samir Selmanovic, the Adventist co-leader. Born in Croatia to a Muslim father and a Catholic mother, he helped found FaithHouse 18 months ago. 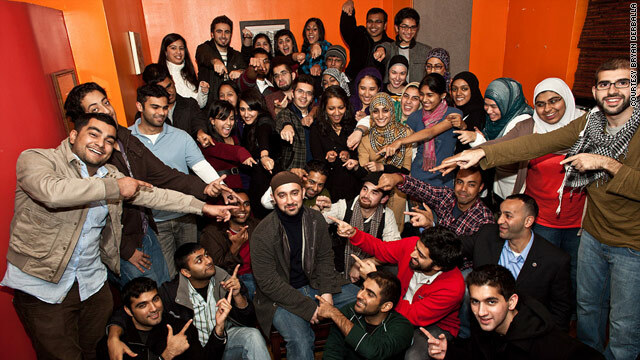 Then he wrote a book, “It’s All About God: Reflections of a Muslim Atheist Jewish Christian,” on the plethora of religions that Americans are increasingly sampling. The first European ban on the wearing of the Islamic burka in public is poised to come into force in Belgium. A parliamentary vote on a Bill which bans face coverings has raised fears among Muslim groups and human rights campaigners that other countries could follow suit. France is already considering similar legislation. “We are the first country to break through the chain that has kept countless women enslaved,” said Denis Ducarme, a Belgian Liberal party MP. He said that he hoped other European countries would follow Belgium’s example. Members of the Belgian House of Representatives called a truce to weeks of bitter feuding caused by the collapse of the government to push through the vote, giving it almost unanimous, cross-party support. The measure now has to be rubber-stamped by the Senate after June general elections to become law.